Science tells us what the world is, not what it means. As expert as they are at collecting and analyzing data, most modern scientists tend to shy away from the question, “What does it all mean?” To them, the question seems so vague as to be, well, meaningless. Ironically, the quest for meaning is what often draws young seekers to science in the first place. That’s certainly what drew us into physics and medicine respectively. Today seriously aspiring seekers and philosophers must first become conversant in science, for the revelations of science are too profound to ignore. In particular, the basic laws of physics have been tested with greater accuracy, and under much more extreme conditions, than any previous domain of knowledge. Honest engagement with this achievement leads one away from any stock dogma about the nature of reality and invalidates such crude anti-science as creationism. Conversely, at a deep level, largely unanalyzed and rarely acknowledged, the quest for meaning is what drives frontier physics and cosmology today. One can reframe “What does it all mean?” to advantage by asking a new question: “Does the world embody beautiful ideas?” (This reframing is explained at length in Wilczek’s, A Beautiful Question: Finding Nature’s Deep Design.) At first glance this question may seem equally vague, and totally unscientific. But art teaches us what beauty is, and we can analyze the world as we would a work of art. What style does it express? Is it a satisfying creation? Two themes dominate our deepest understanding of the natural world’s operating system: symmetry and exuberance. The scientific use of the word “symmetry,” like the scientific use of “energy,” “force,” and many other words, is narrower and more precise than in everyday language. In science we say that an object has symmetry if we can transform it without changing it. Consider, for example, a circle, which is a supremely symmetric object. If you rotate a circle around its center, each point on it will move, but the circle as a whole remains the same. We can apply the same idea to physical laws or to the equations that encode them. Symmetric equations are equations that can be transformed without changing their content. Just as circles are special among geometric objects, symmetric laws are rare and special among conceivable behaviors for the world around us. Perhaps the most profound discovery of twentieth-century physics is that Nature’s laws are fantastically symmetric. Indeed, that’s how we first guessed them! In subatomic physics it is not practical to arrive at the laws stepwise, through exhaustive experiments. Instead we must leap to beautiful equations and work backwards, checking whether Nature obeys their consequences. Nature’s exuberance is harder to define precisely, but it shines forth unmistakably. Our eyes see a void in the vastness of intergalactic space, but our minds reveal abundance. Space, physics has learned, is a vibrant, responsive instrument. It is alive with spontaneous activity, known under different names as quantum fluctuations, virtual particles, vacuum polarization or zero point motion. And we learn too that Nature’s fundamentally simple rules brilliantly orchestrate vastly many copies of a few identical building blocks (electrons, photons, quarks, and gluons), to create the wildly various material world around us. 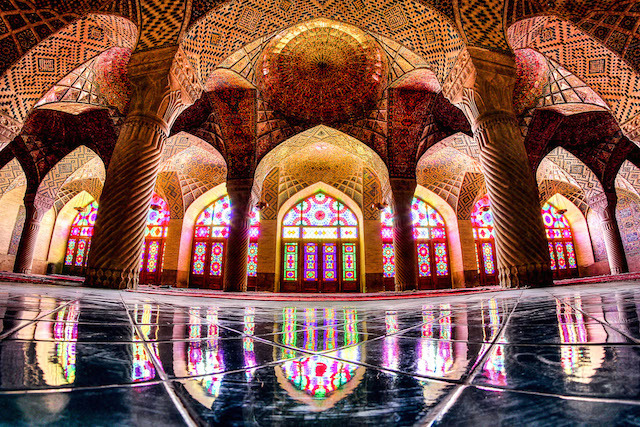 In both science and art, symmetry and exuberance arouse a sense of wonder and the urge to explore further. The challenge is to connect those abstract cosmic ideas with the personal experience of beauty. What do we see? Symmetry and exuberance, brilliantly displayed. Builders and believers found such principles beautiful long before anyone understood the physical world scientifically. This gives us the bridge we’re looking for, not between humankind and a supernatural Creator, but between our response to beauty and its underlying natural foundations. Our world embodies forms of beauty that have long been prized for their own sake, and often associated with the divine. Whether modern people should make that last association is a controversial issue. But the answer to our question, “Does the world embody beautiful ideas?” is clearly Yes. FRANK WILCZEK won the Nobel Prize in Physics in 2004 for work he did as a graduate student. His 1989 book, Longing for the Harmonies, was a New York Times notable book of the year. 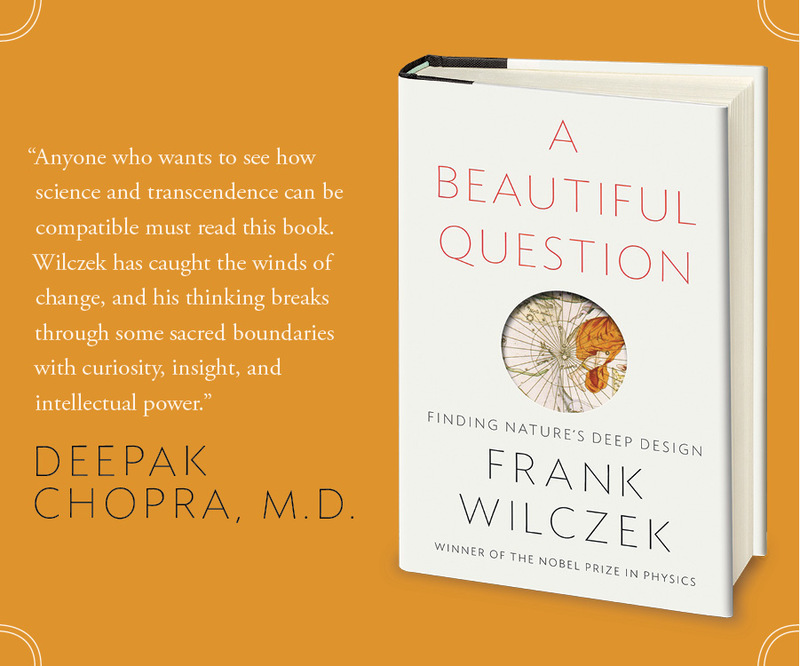 A regular contributor to Nature and Physics Today, Wilczek’s work has also been anthologized in Best American Science Writing and the Norton Anthology of Light Verse. He lives in Cambridge, Massachusetts, where he is the Herman Feshbach Professor of Physics at the Massachusetts Institute of Technology.